Your Are Here: Home Events Classic Queen: Halloween! After a fantastic debut at The Cavern Club in March, Classic Queen will be back on the 49th Anniversary’s of Queen’s gig at the same venue! 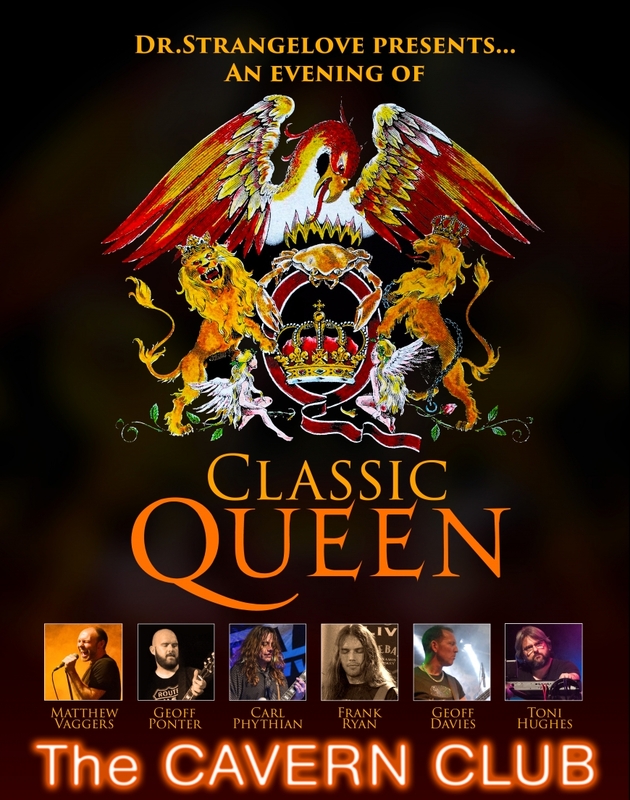 Long term Cavern Pub residents Dr Strangelove are delighted to announce a new show: “Classic Queen” – Dedicated to the beloved British 4-piece, and creators of rock classics such as Bohemian Rhapsody, We Will Rock You, Killer Queen and Another One Bites the Dust. Including a dynasty of Queen hits (yes, they’re doing that one you love!) along with some select deeper cuts for the purist, “Classic Queen” features Dr Strangelove, joined by keyboard wizard Toni Hughes (Mothership, Eclipse). Join us for a Kind of Night at the Opera, some slightly mad miracles, and the odd innuendo….